John Kiriakou is a former CIA analyst and case officer, a former senior investigator for the Senate Foreign Relations Committee, and former counterterrorism consultant. 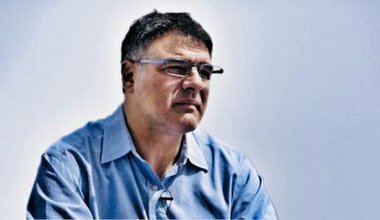 He was involved in critical counterterrorism missions following the terrorist attacks of September 11, 2001, but refused to be trained in so-called “enhanced interrogation techniques.” and Kiriakou never authorized or engaged in these techniques. Kiriakou left the CIA in March 2004, serving as a senior investigator on the Senate Foreign Relations Committee and as a senior intelligence advisor to Committee Chairman Senator John Kerry. He wrote The Reluctant Spy: My Secret Life in the CIA's War on Terror, and worked as an intelligence consultant. In 2007, Kiriakou in an interview with ABC News, became the first former CIA officer to confirm that the agency waterboarded detainees and label waterboarding as torture – official US policy approved at the highest levels of the government. The government started investigating Kiriakou immediately, five years later finally succeeding in piecing together enough information to criminally prosecute him. He became the sixth whistleblower indicted by the Obama administration under the Espionage Act. He reported to federal prison in Loretto, Pennsylvania on February 28, 2013, to begin serving his sentence, where he continued to speak out in a series of "Letters from Loretto". He was released from prison in February 2015.